While the legendary Peter Mayhew was the one and only Wookiee for many years, recently a new actor has stepped into the fur and made the role of Chewbacca his own. Joonas Suotamo worked with Mayhew to bring Chewie to life in The Force Awakens, and has since taken over for the older actor in The Last Jedi and Solo: A Star Wars Story, which is due out in May. StarWars.com: What was it like the first time you put on the costume? Joonas Suotamo: [Laughs] Yeah. But I remember looking in the mirror and thinking, “Oh, wow. This is going to be special.” The next time I put it on was my first day and walking onto the Millennium Falcon. It was quite crazy. StarWars.com: What was your take on porgs as you were gearing up to shoot? 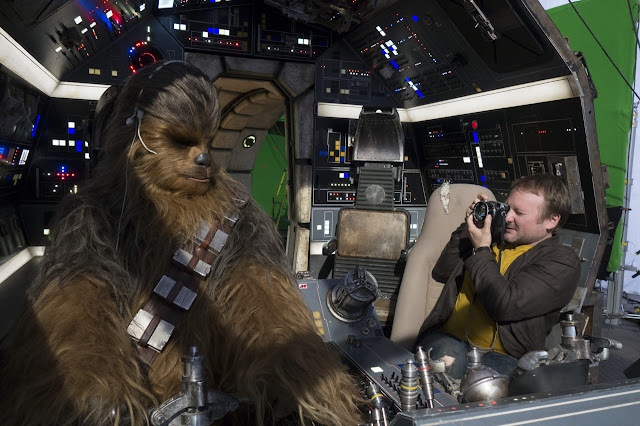 Joonas Suotamo: Yeah… I knew we were going to do the porg roasting and there were going to be some awkward moments in that shot. But I wasn’t shown any footage of what the porgs would actually look like, so it was very hard to get into the mindset. After I saw it in the finished film, I realized exactly what Chewie was going through, and I thought Rian [Johnson] did an amazing job directing me in that scene, because it was so difficult. StarWars.com: I know we can’t talk too much about Solo. But in many ways, it seems like this is more of a starring role for Chewbacca. So what was the experience like for you? 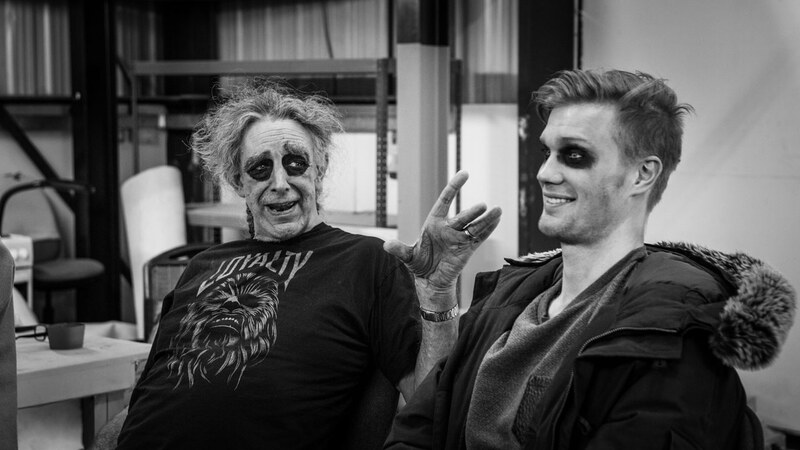 Joonas Suotamo: It was wonderful. Lots of shooting days, lots of hours. Sometimes a little bit of frustration for all the sweat [Laughs] and lack of bathroom breaks. But after everything, it was worth it. It was so much fun doing all of this and going on this adventure with this multi-talented cast. 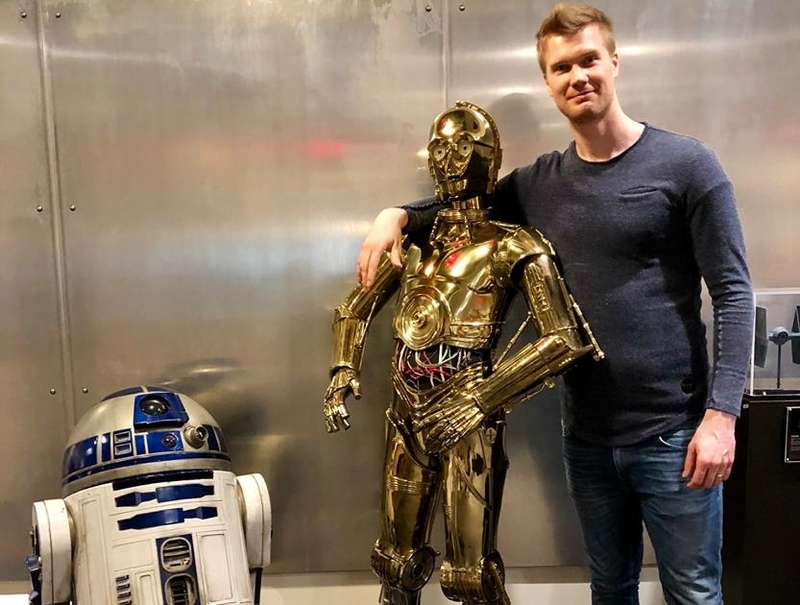 Joonas Suotamo will star as the mighty Chewbacca in Solo: A Star Wars Story alongside Alden Ehrenreich (Hail Caesar!) as Han Solo, Donald Glover (Atlanta) as Lando Calrissian, Emilia Clarke (Game of Thrones) as Qi'Ra, Woody Harrelson (True Detective) as Beckett, Phoebe Waller-Bridge (Fleabag) as L3-37, Thandie Newton (Westworld) as Val, and Paul Bettany (The Avengers) as Dryden Vos. The film is directed by Ron Howard (A Beautiful Mind), with a script by Lawrence Kasdan (The Empire Strikes Back) and his son Jon Kasdan (The First Time). Solo hits theaters on May 25th, 2018.